At the start of the New Year, Prime Minister Theresa May announced the government’s long term plan for the NHS in England to secure its future for generations to come. An additional £20.5 billion budget has been allocated to help improve health outcomes and tackle health inequalities over the next 10 years and, although these ambitions have been welcomed, there are concerns around whether they can actually be delivered – especially in light of significant workforce vacancies, estimated at around 100,000 or one in every 11 jobs. Both Theresa May and Simon Stevens, the chief executive of NHS England, have committed to prioritising recruitment and staffing budgets to fulfil the current and future needs. Investment in a modern, “fit for the future” health service, offering “world-class treatments” will undoubtedly make the NHS a more efficient and attractive employer. Alongside this, investment in technology will build automation in the NHS to reduce cumbersome and outdated administration practices; saving time and money and improving safety. BDS Solutions is solving this very challenge for many NHS Trusts with its Directory Manager solution. Synchronising data across ESR, NHSmail and Active Directory, Directory Manager enables system integration, removing tedious administration and providing a secure and highly-efficient mechanism to retain control of access management. As recruitment and staffing takes centre stage, this level of access and identity management is a critical step to success. With an increase in remotely accessed applications, mobile working and a rise in the number of systems across a vast workforce, ensuring systems are secure and data is protected (viewed and edited only by authorised personnel) is fundamental to patient safety, staff wellbeing and effective management. Investment in digital transformation in the NHS appears to be lagging well behind other major NHS functions, with financial records showing that governance and health system administration accounts for only £3.8 billion of the NHS’s overall £191.7 billion budget. Modern, effective and efficient technology is vital for the NHS to achieve its digital transformation aspirations and has been recognised as a key growth area. Yet growing, it is not. Out of the top six major functions within the NHS, ‘Governance and health system administration’ is the only one that showed a decline in investment over time. The NHS 2016 published accounts show that the funds to drive digital transformation have not been allocated. Investment in new systems, is the only way the NHS can move forward efficiently. The NHS has made progress towards digitalisation with the creation of STPs and NHS digital. The strategy has been identified and the goal set. However, more must be done to drive through these technology changes. One challenge has been the sheer complexity of the NHS. The size of the organisation, in terms of numbers of staff and patients, plus the fact the NHS is still using slow and very dated processes including paperwork and fax machines, which will take time to fully convert to a digital environment, especially with the added requirement of saving vital historical data. In addition, the NHS uses an array of legacy systems, implemented to address specific problems or services. These are usually stand-alone systems which require a great deal of administrative support; adding new users or processing the data output. In the long-run they tend to slow-down processes rather than increase productivity. The idea of digital transformation is to bring together systems, creating efficiencies and removing wasted administrative tasks that could, and should, be automated. Identity and access management is fundamental to ensuring a digital NHS works securely and efficiently. Utilising a system that matches and reconciles vital person details within ESR, Active Directory and NHSmail should be at the heart of any digital strategy. BDS Solutions Directory Manager does exactly that. Synchronising data across ESR, NHSmail and Active Directory, Directory Manager enables system integration, providing a secure and highly-efficient mechanism to retain control of access management. Access management underpins a digital NHS. 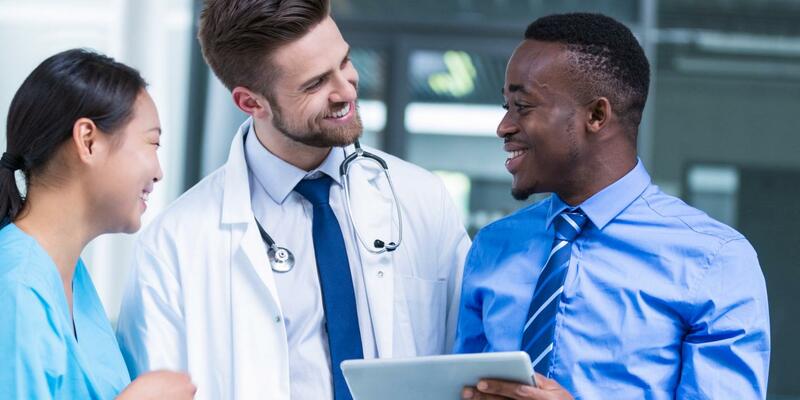 Without automating full control of who has access to what and ensuring that staff records are accurate, the NHS cannot securely implement additional digital solutions. To protect the NHS for the next 70 years, digital transformation is critical. Strategically, the NHS must start with linking together vital systems that underpin all other technology. But investment must be made a top priority if the NHS is going to achieve digitalisation.